Rising prices and better alternatives may mean curtains for netbooks. The small, portable computers were popular in 2009, but some industry watchers are convinced that their popularity is already waning. "The days of the netbook are over," said Stuart Miles, founder and editor of technology blog Pocket Lint. As prices edge upwards, net-using habits change and other gadgets take on their functions, netbooks will become far less popular, he thinks. "Technology has advanced so much that it's outmanoeuvred itself," he said. "You wouldn't go for something so basic anymore." His prediction stems from his belief that the netbooks of 2009 are losing touch with what made them so appealing. Asus kicked off the netbook trend in 2007 when it launched the Eee PC 700 and 701. The 700 sported a 2GB solid state hard drive, 512MB of Ram, a 900 MHz Intel Celeron processor and a seven inch screen. It was cheap, cheerful and a boon for those wanting to check e-mail and go online while out and about. But, said Mr Miles, the success of the small, portable notebook has been its undoing because it has spawned so many imitators. Many contemporary netbook models run Windows XP or Windows 7 which has forced the specifications, and price, upwards. Many, he said, now cost at least £350, a figure close to that for a more capable full-size laptop. What people are looking for now, he believes, is a machine that can keep up with the demands of contemporary web users - far more than the basic e-mail and web browsing that made the first models so appealing. "As soon as you want to do anything else you hit the same problem, it ceases to work," he said. "It does not have the power." Those changing habits of web users, he maintains, are too complex for those basic machines. "It's the internet's fault for making us much more multimedia savvy," he said. Uploading and editing still or moving pictures and handling audio all require far more power than the basic netbook offers, he said. This could explain, he said, why many laptop makers are now turning out very thin and light machines that have power but not the shoulder-wrenching bulk. Ian Drew, spokesman for chip designer Arm, also believes netbooks are in for a shake-up. 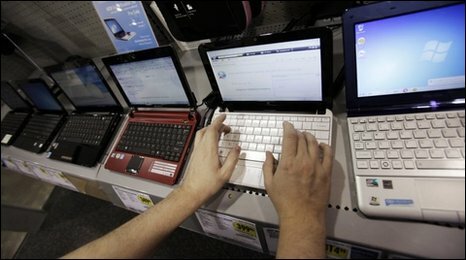 Consumers, he said, were chafing against the restrictions that using a netbook imposed on them. "We have failed the consumer because we have imposed constraints on them," he said. Changing web habits and greater use of social media will mean consumers will be looking for gadgets that are tuned to specific purposes. "It will be a lot of different machines for a lot of different people," he said. "This whole market will be exploding in the next couple of years." Impetus for this change will come, he believes, from the phone world where many, many types of gadgets are already blooming. "It's no surprise that your mobile has changed a lot in the last three years but your PC hasn't," he said. Arm hopes that many more netbook makers will be using one of its designs as a core processor and turn to Linux as the operating system. At the very least a crop of Arm-based netbooks might mean a big boost to battery life. Arm's mobile pedigree means it is designed to be parsimonious with power. Dell already produces notebooks sporting Latitude ON technology that use both Arm and Intel chips so that they can boot into either Windows or Linux. Battery life on Linux is in excess of 10 hours, for Windows rarely more than three. Machines sporting Arm chips are also likely to be thinner as they will not need the heat sinks demanded by processors used in desktops. Mr Drew said deals Arm has signed with Adobe will help ensure that future devices will be able to use the software maker's familiar video, audio and image editing tools. What will also be worth watching, he said, is what happens when Google's Chrome OS is launched. Mr Drew also expects to see devices tailored to particular types of user. 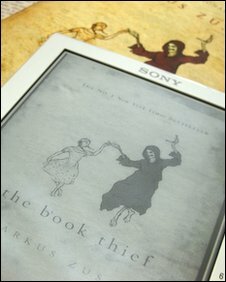 E-book readers were an example of this, he said, and were evolving into devices capable of doing more than just handle text. Many can play MP3s or let owners browse the web. Then there is the approaching wave of tablet computers. Apple is rumoured to be working on one. Dell and Microsoft have shown off their own ideas of what one will look like and there are bound to be many more from established tablet makers such as Archos. Mr Miles from Pocket Lint believes these are likely to take up the mantle from the netbook. "I don't think people will expect it to do much more than you get from a netbook," he said, adding that they were perfect for those who needed a device that let them get online quickly to satisfy their curiosity. They were more likely to succeed now more than ever, said Mr Miles, because of the greater experience people had with using such devices. 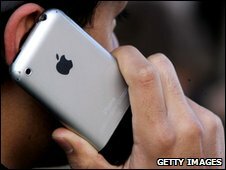 "It'll be helped by Apple which has educated people how to use multi-touch through the iPhone and iPod touch," he said. Netbooks are also likely to come under pressure from smartphones as they get even smarter, said Christoper David, head of developers at SonyEricsson. Phone makers, he said, have to position themselves to be more open and able to support the web habits of users no matter what they were or what they wanted to do. "The web is the king," he said. Handset makers must work with those open web standards to ensure that the software on the phones they make is flexible enough to cope. "Though," he added, "that is only the starting point of the journey." What will not change, he believes, is the importance of the phone as a vessel for data about its owner. "We're going to see phones coming along where the form factor will be less and less relevant in terms of what we carry about with us," he said. Future devices will grab the best resources nearby whether that is a flat screen, projector or thin film display. The ID credentials stored on what was our phone will handle all the logins and give access to all the sites and services we use. The netbook, and its limitations, will be well and truly left behind.